Tucked away in a serene corner of the world, this elegant resort offers two unique destinations in one. 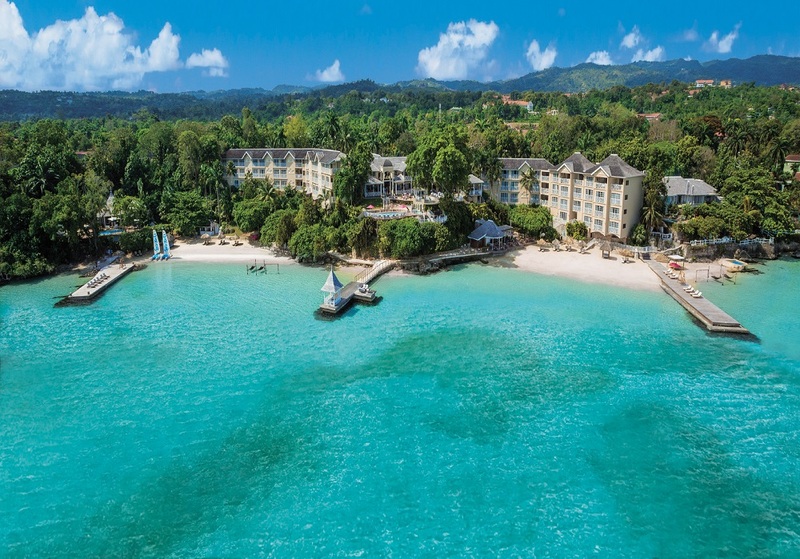 Sail across the crystal-clear water to its private offshore island which features a celebrated seafood restaurant, two secluded beaches and an indulgent spa. Make the most of the warm water with a variety of scuba diving, sailing and snorkelling activities, or simply relax and enjoy the swim-up bar and whirlpool. The choice of dining venues and relaxing bars on-site is truly staggering. You can enjoy Italian, Asian, French, and Caribbean cuisines before heading to the welcoming hotel pub for live entertainment. During the day, unwind on a lounger by one of seven swimming pools, play a range of activities on land, or treat yourself to a massage and beauty treatment at the professional spa and salon. For the ultimate experience of luxury in paradise, try Sandals Royal Bahamian. 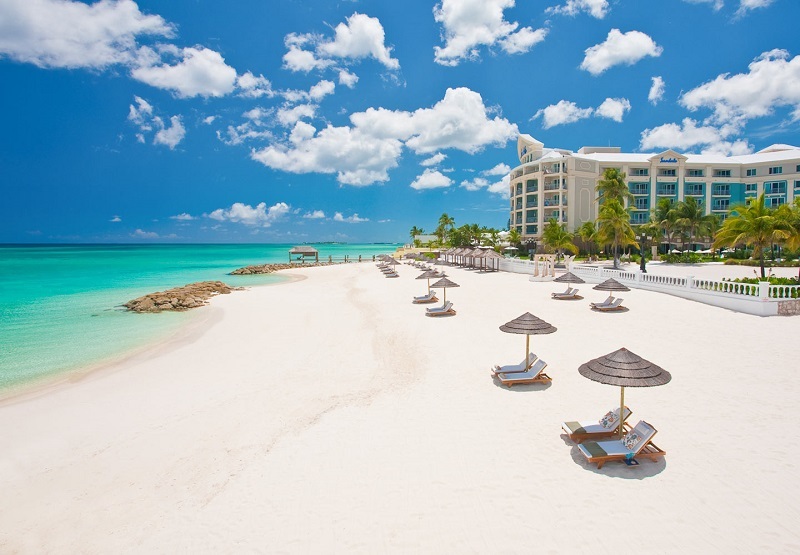 Sandals Royal Bahamian features: ten speciality restaurants, eight bars incl. three swim-up pool bars, three pools (incl. 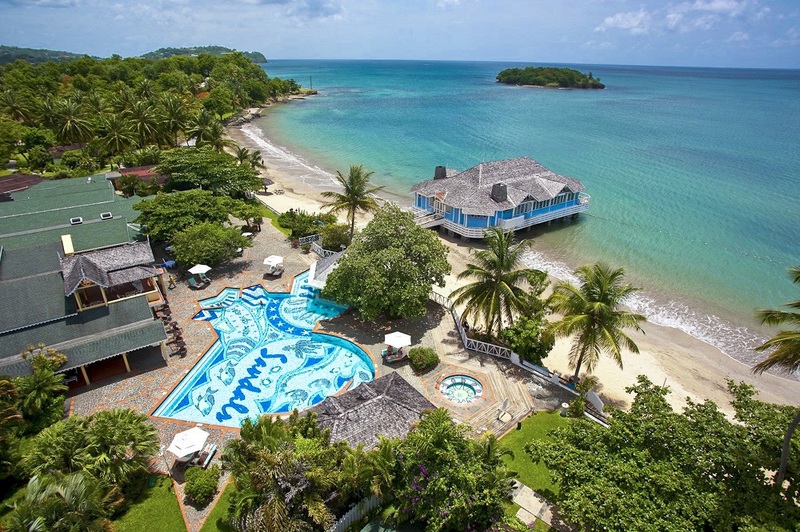 one dive pool), three whirlpools, fitness centre, Red Lane® Spa (treatments extra), unlimited land and water sports including scuba diving, complimentary non-stop round trip airport transfers, and complimentary Wi-Fi in all rooms and public areas. The resort's offshore island has two beaches, swimming pool, whirlpool, swim-up bar, hammocks, spa, seafood restaurant, and evening entertainment. Sandals Royal Bahamian has ten speciality restaurants and eight bars. Baccarat serves French cuisine, Casanova is the place to go for Italian dishes, and Spices is the resort's finest Caribbean-themed restaurant. Head to the Crystal Room for Mediterranean dinners or Kimonos for delicious Asian fare. Fresh seafood is served at Schooners Seafood Grill, or there's over-the-sea dining at Gordon's on the Pier. Royal Grill is open for light bites and cocktails by the sea, or tuck into pizzas at Bella Napoli Pizzeria. Sample true English pub food, drinks and atmosphere at The Cricketer's Pub. Unlimited premium spirits, Robert Mondavi wines and Blue Mountain coffee are available with meals and also in the eight full-service bars. Entertainment at Sandals Royal Bahamian includes: talent shows, live performances, carnival parties, Caribbean-themed nights, and live bands. This resort offers a huge range of activities both on land and at sea. You can try snorkelling, hobie cats, paddle boarding and scuba diving. On dry land, enjoy table tennis, shuffleboards, billiards, volleyball, tennis, basketball, and board games. Red Lane® Spa offers face and body treatments (at cost) as well as yoga, Pilates, steam room, plunge pools, and relaxation areas. Duty-free shopping is also available at this resort. The offshore island features two secluded beaches and a variety of water sports, while the fitness centre provides aerobics classes. Sandals Royal Bahamian has a total 404 rooms and suites. The Royal Village Deluxe - DL rooms come with air-conditioning, four-poster king-size bed, HD Smart cable TV, hairdryer, telephone, iron and ironing board, safe, iPod dock with alarm clock, and complimentary Wi-Fi.